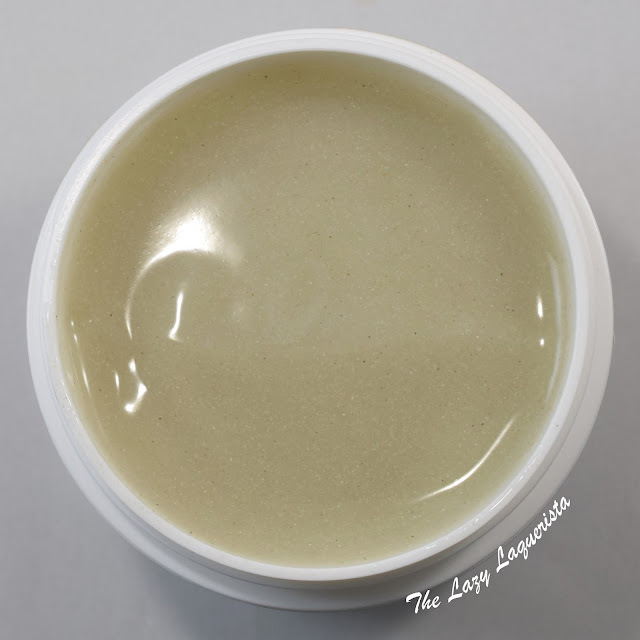 Today I have another product from Maple Holistics to show you. Summer is hard on my feet. After months of strappy sandals and flip flops I'm left with callouses and dry spots all over. The Assuage Foot Scrub seemed like a great way to tackle these issues without having to pay for a pedicure. When you first open the jar it looks like it's filled with just gel, but if you look closely you'll see it's filled with tiny bits of pumice stone. The scrub smells very minty and refreshing. I suggest soaking your feet in warm water before scrubbing. This will help soften your calloused and/or dry spots and make the scrub more effective. If you have some very calloused areas you may want to do a first pass with a foot file. The scrub has a nice coarse grit to it and definitely help smooth out the rough spots on my feet. What surprised me is how tingly, cool and refreshed this scrub made my feet feel. This is due to the peppermint oil in the mixture. I could see it being great for tired feet, even if they're not in need of a good scrub. I will definitely continue using this product to keep my feet looking their nicest and feeling their best. Don't forget to enter the giveaway for a set of their Argan Shampoo and Silk 18 Natural Conditioner. Just enter using the form below.